View basket “Ferulic + C + E” has been added to your basket. 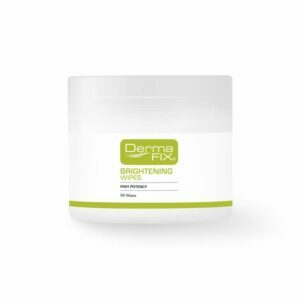 The DermaFix DermaBright corrector consists of a unique blend of active essential ingredients and is a powerful 3-in-1 treatment that is used to produce visible skin brightening results within days of regular application. Mandelic Acid, which is found in DermaBright, accelerates the biological process of peeling the skin and helps control skin care concerns. Week 1: Start the DermaBright regime with 1-2 drops in your DermaFix Cleanser at night only. Week 2: Increase the DermaBright dose to 2-3 drops into your DermaFix moisturiser leaving on the skin at night only. From here on, work on your individual skin tolerance level, a cotton bud may be used to treat spot areas if entire face is not affected. 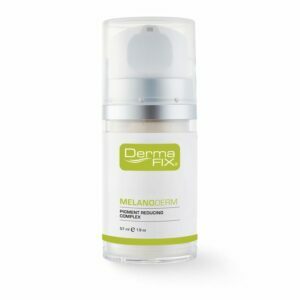 Extreme hyperpigmentation may be resolved at a quicker pace by additional application of MelanoDerm over the DermaBright. 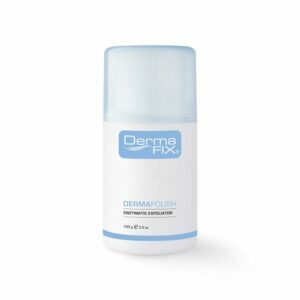 DermaShield SPF50 – Zinc Oxide High Protection Sunscreen must be used daily (not negotiable) when using DermaBright. The DermaFix DermaBright skin corrector is a powerful 3-in-1 treatment that resurfaces and unveils new skin, treating inflammatory non-cystic acne. It also has certain ingredients that assists in suppressing hyperpigmentation while at the same time rejuvenates photo-aged skin. Our DermaBright products are also hydroquinone free. Loved using this product! The only thing that helped with my hyper pigmentation and never made my acne flare up! 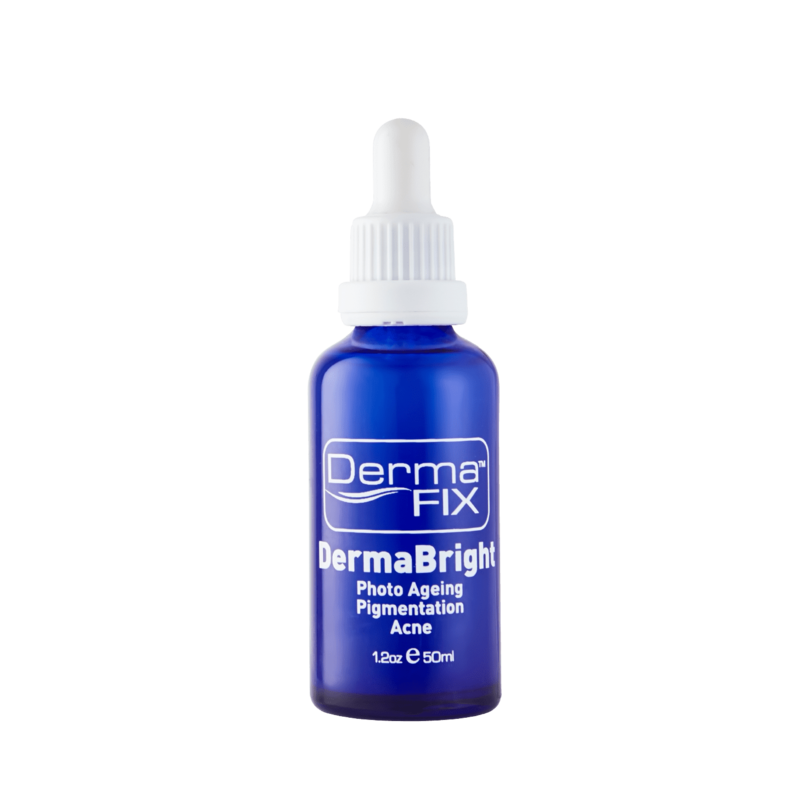 I absoutely love DermaBright! It is a very useful at home peel, especially in today’s busy life where I don’t get the time to go for skin peels regularly. My skin feels great and pigmentation disappears! Excellent product for pigmentation, acne and oily skin. Keeps skin clear and bright and is one of my favourite products. I’ve been using it for 3 years now! I started using this product two months ago to be precise. Prior to that I always got red inflammed blemishes from time to time. The blemishes are a thing of the past. New skin has unveiled. Old acne-scars have also faded many shades lighter. It has smoothed it out as well. Pigmentation has also subsided. I find this product very useful. When I go out people ask me what am I using for my skin? And I reply dermafix products. They really work!!! What an amazing product! It is great for pigmentation. It made my skin look and feel amazing! !